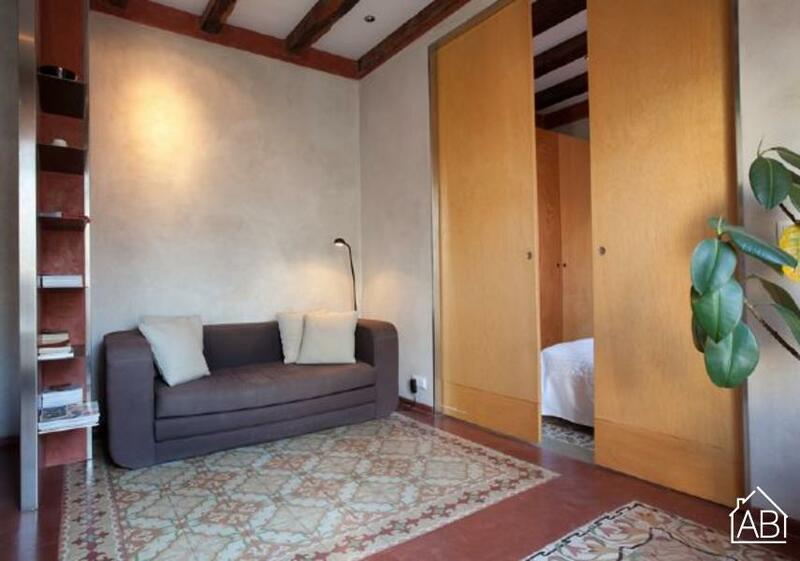 This rustic one-bedroom apartment in Barceloneta, located between the Old Port and beaches, is the perfect location for your Mediterranean getaway. Only a 10-minute walk from historic downtown, you will have the city at your fingertips. This apartment is ideal for couples or small families and can accommodate up to three people. The apartment has a traditional feel with exposed beams and dark colors adding to the ambience. A French window allows natural light to shine in all day. The living room has a comfortable sofa and TV, where you can relax after a day of sightseeing. A well equipped kitchen allows you to prepare your own home-cooked meals, which you can enjoy al fresco on the balcony. The bedroom has a double bed, while a single sofa bed can be found in the living room. The bathroom has a walk-in shower. This apartment, complete with air-conditioning, is the ultimate choice for your trip to Barcelona, any time of the year. We have a parking space available located in the Barceloneta. If you require this space for your stay, please request it during your booking process in the comment box, and we will confirm its availability. Please note: This apartment is reserved for adults 35 and over, or families.